Engage in FUN, INTERACTIVE, and CREATIVE ways! 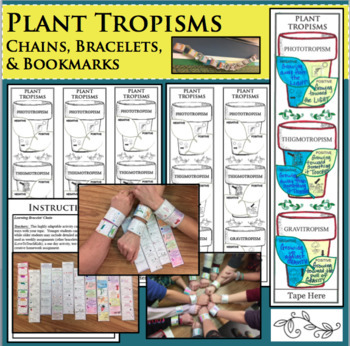 Allow your students to produce a product that showcases their knowledge about PLANT TROPISMS! These Chains, Bookmarks and Bracelets are NO PREP and READY TO GO! Just print and go!